Pilu at Freshwater: A couple of quick ones. 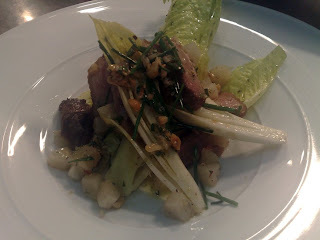 Salad of smoked duck breast, with baby cos and witlof, jerusalem artichoke dressing. 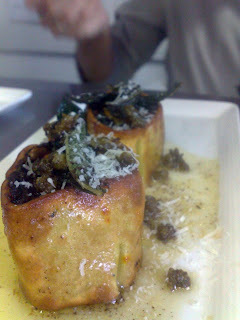 Crispy spinach, porcini and mascarpone rotolo. With sage, caper butter sauce and pecorino. 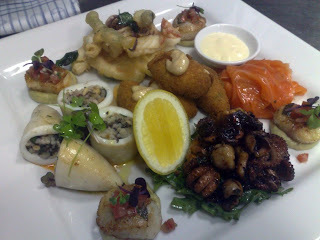 We don't usually do seafood platters, but we made this impromptu one for some overseas guests recently. 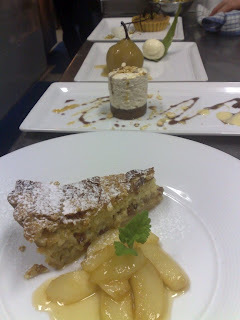 A selection of the new wedding menu desserts. 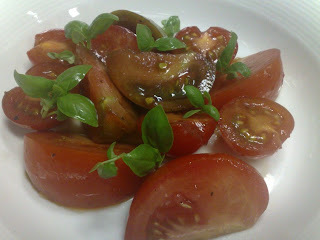 Mixed tomato salad with baby basil.